In Las Vegas or anywhere in the Southwest, the combined effects of the desert summer heat, dust, and monsoon rains and winds can take a toll on our roads, buildings and vehicles. Over time, harsh summer weather may crack asphalt, damage paint, tear away window screens and damage other vulnerable parts of our homes. Even our cars experience the effects of direct sun and prolonged dry heat on rubber tires, trim and other components. At home, our roofs can also feel the effects of our summer weather. Roofs need a little extra attention to help them cope with the scorching heat and monsoon storms to make sure they continue to protect our homes, year after year. Daytime temperatures in Las Vegas consistency average in the low 100s during the summer months, usually with clear skies that allow the white hot sunlight to beat down on everything below. 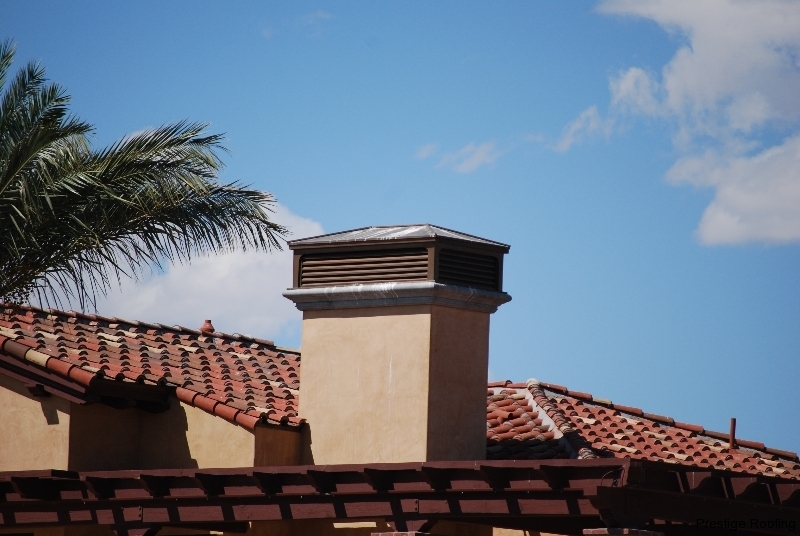 Older roofs that haven’t been maintained can experience damage after years of absorbing the effects of the hot desert sun. 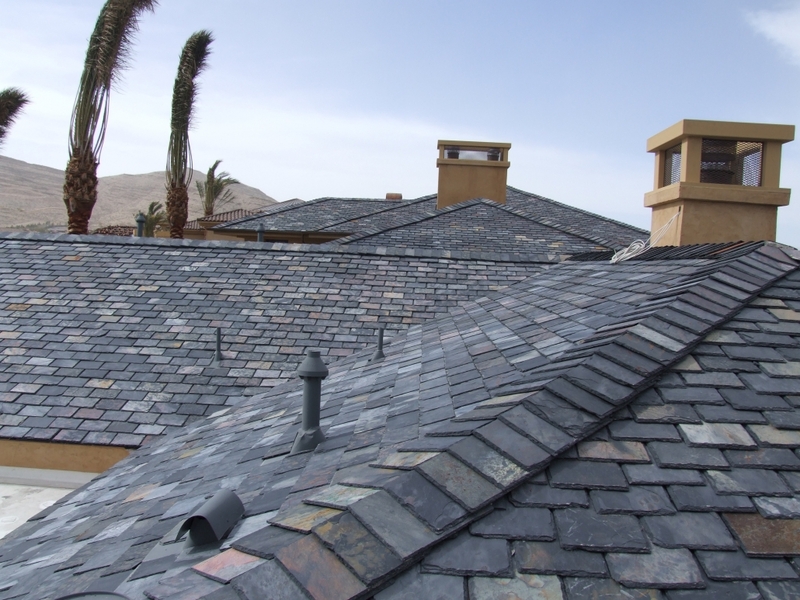 Persistent exposure to the Las Vegas sun’s intense UV rays weakens the roof and strips it of flexibility. That can cause it to go through thermal shock, meaning the roof starts expanding and contracting depending on the weather. If this continues, the roof can split, causing extensive damage and requiring costly repairs. Asphalt shingle roofs can be vulnerable to sun damage. In general, shingles reflect only around 30% of the sun’s rays. The tiles absorb much of the sun’s heat, some of which enters your home, raising energy costs. The solar rays, in the form of UV radiation, react with the asphalt roofing, causing what used to be gleaming, strong shingles to become brittle and dry. That means the roof is losing its waterproofing abilities as the oils are dissolved by the sun’s rays. This can lead to water seeping under the shingles and leaking into the structure, causing damage to the home. Many newer types of asphalt tiles are more energy efficient and resilient to heat and the effects of solar radiation, so be sure to discuss the weather resistance and energy efficiency qualities of asphalt shingle roofing you are considering with your roofer before deciding. Tile is the go-to material in many sunny, hot climates, including Las Vegas. 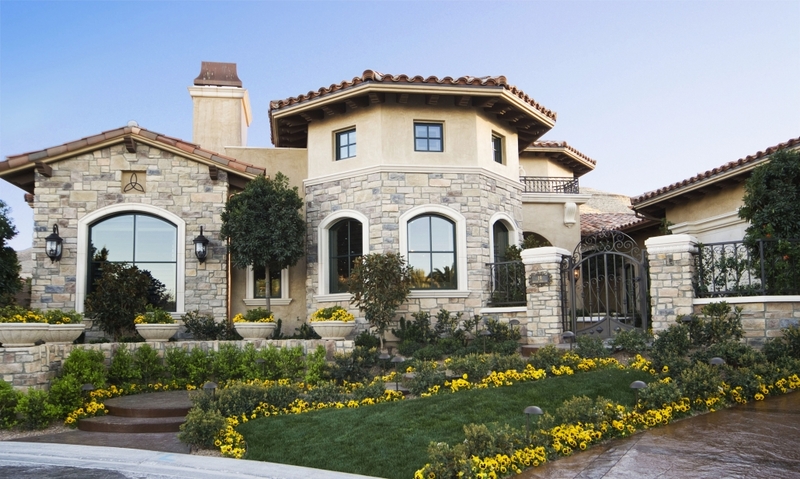 A correctly-installed, quality concrete or clay tile roof will last many decades if it is properly maintained. The material is naturally insulating and energy efficient, keeping your home cooler in summer. It is highly resistant to solar rays and, if not weakened or damaged, holds up well to monsoon rains and winds. Metal roofs also do very well in hot areas as they naturally reflect most of the sun’s heat so your home interior stays cooler. They are highly durable and damage-resistant. When there is a problem with metal roofing, such as buckling in high winds or water leaks, it is due to improper installation. Always choose a roofer who is qualified and experienced in installing metal roofing – or whatever type of roofing you have chosen – to avoid future costly repairs due to use of the wrong materials or techniques during installation. Roof ventilation is an essential component of good roof design and construction. When it gets hot, heat needs some way to escape from the home. An improperly ventilated roof causes hot air to remain trapped in the attic and forces the air conditioner to work harder to cool the home. In winter, poor ventilation allows moisture to build up in the roof material in the attic, where rot and mold may develop. When temperatures fall below freezing, warm inside air trapped in the attic may cause snow or ice along the edges of the roof to melt and run into the gutter and refreeze. That could eventually lead to a dangerous ice situation around the home. Have your roofer make sure that your roof ventilation system is properly installed and working well. This will help keep your energy costs down and allow your roof to better handle weather extremes and avoid damage due to poor ventilation. 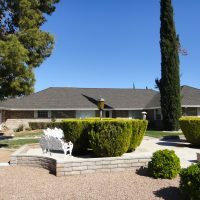 The cumulative damage caused by the sun may leave your roof vulnerable when Las Vegas’ monsoon season arrives. The desert Southwest experiences heavy downpours and even hail during this time. Roofs are more exposed to water damage if the roof has lost its waterproofing abilities. In addition, any damaged or warped roof shingles may allow the roof to leak. 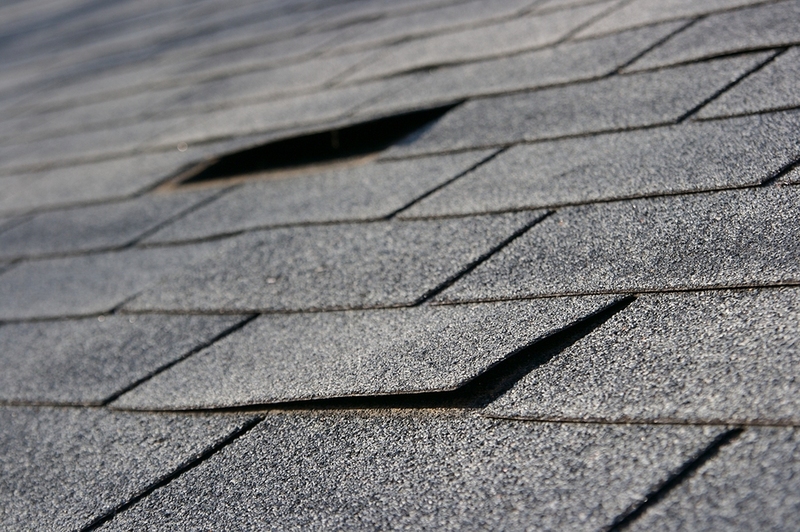 And, damaged, loose shingles may not be able to stand up to a heavy round of wind or a severe hailstorm. The dust storms capable of inspiring beautiful desert photography can cause some much less attractive damage to your roof. 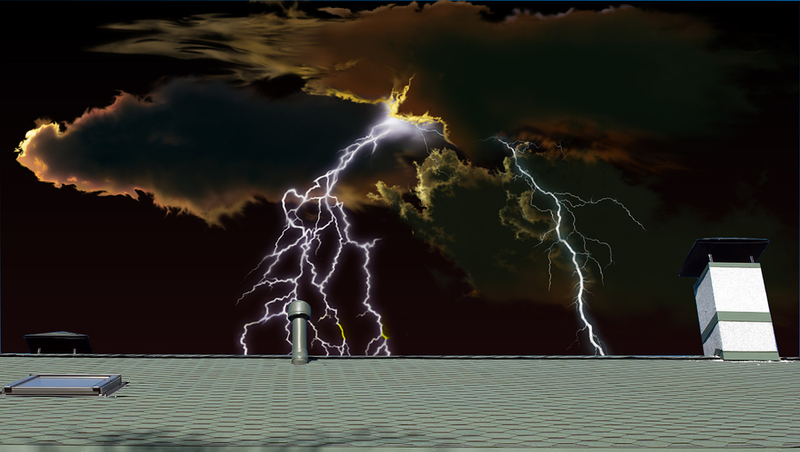 These swirling storms bring with them heavy winds carrying dust and grime, coating everything and potentially destabilizing or ripping away parts of your roof structure already left vulnerable by the sun and rain. 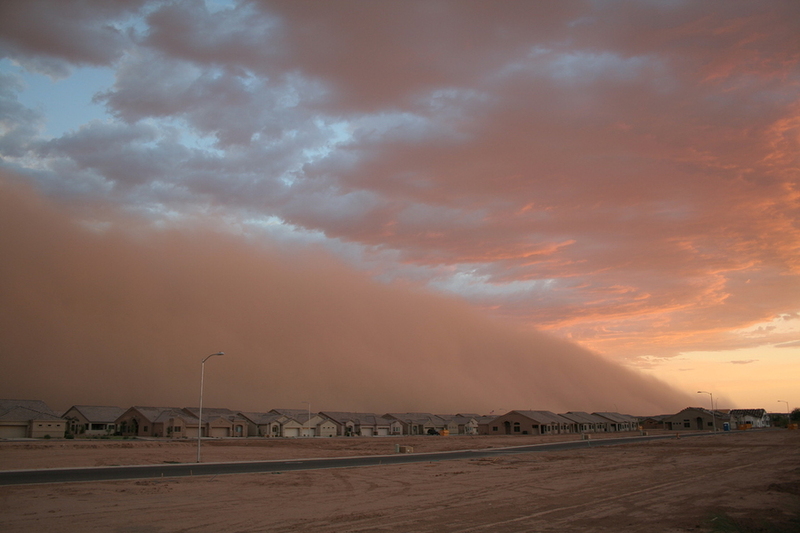 Dust storms are a part of life in much of the Southwest. A well-maintained and well-insulated roof that does not leak will help avoid damage and keep flying dust from entering your attic and home. Regular roof inspections give homeowners a chance to fix small problems before they become costly. A good inspector will go over the entire roof and recommend any roof repairs that are needed to make sure your roof is ready for the summer season. If you’re in the market for a new roof, your roofer can help you make the right roof material selection that holds up best in your local climate. Using the right roof materials will also help keep your home interior more comfortable and energy costs down by properly managing the transfer of heat and cold. Make sure you give your roof a once-over after a period of intense heat or after a lot of rain. Call in a professional if you think there’s a bigger issue going on. 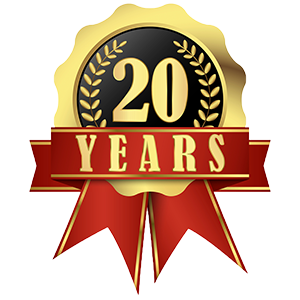 Prestige Roofing has over 25 years of experience with all kinds of roofing, keeping Southern Nevada homes cozy, dry and comfortable year round. Give us a call for more information.